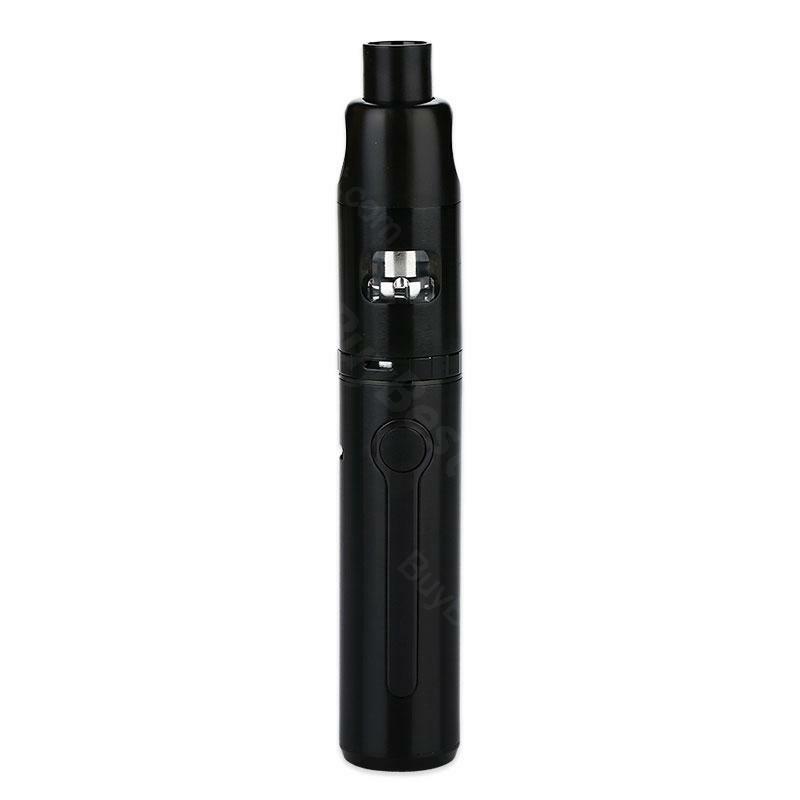 The Kanger K-Pin Starter Kit comes with a 2000mAh built-in battery and 4ml e-juice capacity. 5 colors. The Kanger K-Pin Starter Kit is satisfy both veterans alike and beginners, because it has a portable design and powerful setup. It comes with a 2000mAh built-in battery and 4ml e-juice capacity. And it only have one button, so it is easy to use. The K-PIN features a leak resistant cup design and easy top filling system. And it has a unique telescopic mouthpiece, that enables you to hide the mouthpiece when not in use. Also, the K-PIN use the SSOCC atomizer heads, which are popular in the Kanger products. The Kanger K-Pin Starter Kit will provides an great sub-ohm experience with plenty of vapor and flavor. • Twist upper drip tip cover to adjust drip tip up or down, anticlockwise up, clockwise down and hide. • 5 speedy clicks to switch on/ off the battery. • LED lights up when press the fire button to vape; LED lights off when release the fire button, and the device stops vaping. • LED shows the battery level when charging; all LED lights up when full charged up. Works very well. Very good product, a little slow on the processing of the order. But once they shipped it it was right on time. Always use Kangertech brand products, this K-PIN Starter Kit is also good for me. Kangertech K-PIN gibt auch zwei extra Ersatzteile, ein Thermostat Coil und ein Glasrohr. Diese E-Zigarette gefällt mir. Gerne weiter empfehlen!